Avon Barrier are an international designer, manufacturer and installer of high security hostile vehicle mitigation solutions, offering a comprehensive solution in the field of entry/exit security control points and perimeter protection. Their security road blockers, barriers, bollards and vehicle gates are designed to protect against a hostile attack in the form of a ram raid or a vehicle-borne improvised explosive device (VBIED) and are installed in airports both landside and airside globally. Blocking systems are designated as life-saving equipment. It is essential that they are suitable to combat today’s ever increasing threat types. The equipment developed by Avon Barrier has been extensively tested in a number of ways to ensure that when it needs to perform, it will play its part. Their crash testing program has included testing to the BSi developed specification PAS 68, the US ASTM standard F2656 07 and the new international works agreement: IWA 14.1:2013. Testing work undertaken to date includes dynamic impact testing with a variety of different impact forces, penetration testing (mainly aimed at pedestrian control equipment) and explosive shrapnel dispersal testing. Avon’s Scimitar PAS 68 Hydraulic and Static Bollard range provides mitigation solutions against hostile vehicle attack where aesthetics and public perception are a consideration, with a selection of decorative sleeves available to complement street furniture and building architecture, the Scimitar Bollard range are all tested using a 7500kg vehicle but at different speeds and foundation depths. Avon have recently added their super shallow bollard to their range with a foundation depth of just 100mm, enabling it to installed with the minimum of civil disruption. 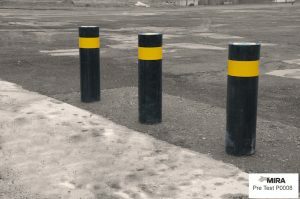 The bollards can be supplied with stainless steel sleeves for a modern finish, an ideal solution for providing blast standoff protection for airport passenger terminal buildings. RB980CR Surface Road Blocker which needs no foundations at all, for fast deployment or temporary protection to sites. The SG1100CR Armoured Vehicle gate has been tested to PAS 68 and is a cost effective security solution, capable of securing a clear width of up to 7metres., it provides an ideal option for access to secure perimeters e.g. Airside. 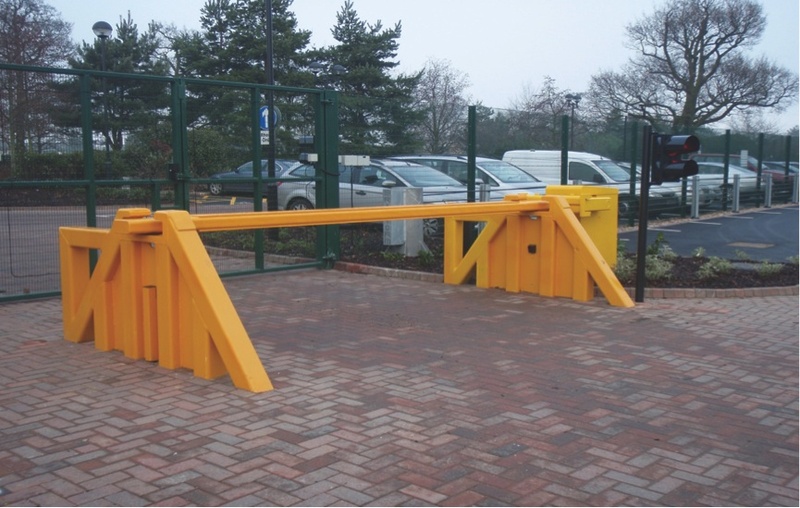 It can ensure only authorised vehicles gain access whilst also being an antipersonnel gate. 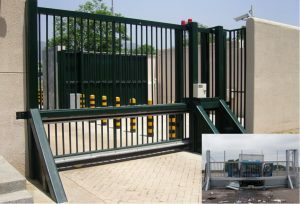 The gate can be customised with a variety of infills and topping and can be fitted with a high speed gate drive to enabling the gate to open and close at .5m per second. PAS 68 electro-hydraulically operated rising arm barriers. 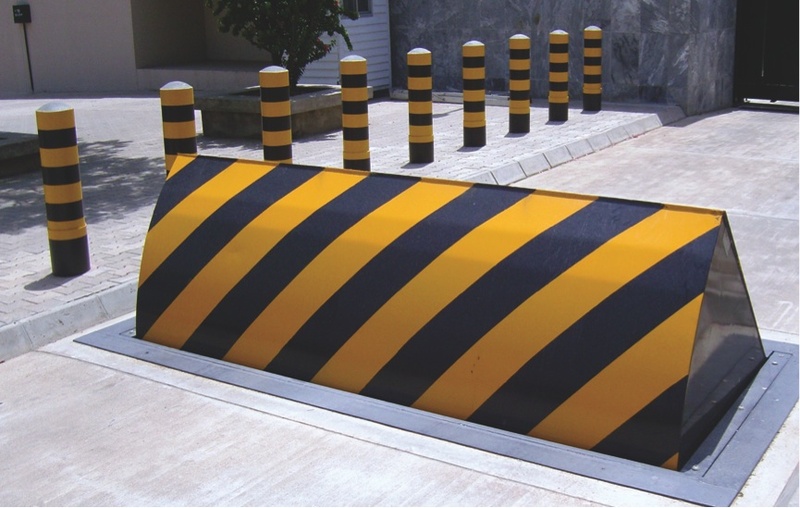 With versatile shallow foundations, they have the appearance of traditional traffic barriers but provide high protection to a traffic control entry or exit point. Avon Barrier also provides a range of non crash tested security barriers and gates. Security Barriers can be fitted with lights, signage and drop skirts as options.